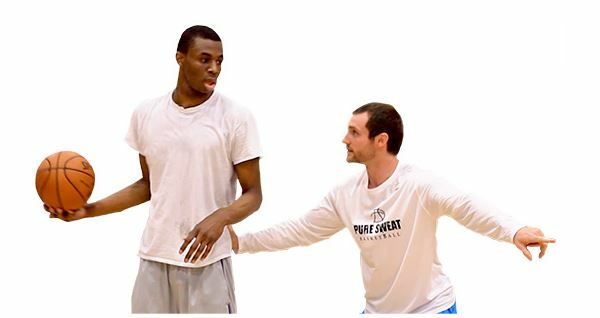 Former Bruin men’s basketball point guard Drew Hanlen, who graduated from Belmont’s entrepreneurship program in 2012, is once again receiving widespread attention for his nationally recognized basketball training program, Pure Sweat Basketball. Hanlen and his company were recently featured in stories on Bleacher Report, Yahoo Finance and NBC Sports Philadelphia, among other outlets, on his behind-the-scenes work with last year’s No. 1 NBA draft pick, Markelle Fultz. Fultz suffered a should injury last season, and his return to the court was rocky at best as he developed a “hitch” in his shot. In a podcast interview, Hanlen said, “With Markelle, obviously he has one of the most documented cases of kind of the yips of basketball in recent years, where he completely forgot how to shoot and had multiple hitches in his shot.” Hanlen went on to note how much progress the player has made in the off season and express his confidence that Fultz will return to the court better than ever. In a recent podcast interview with 104.5 The Zone, Hanlen reflected on current NBA prospects and clients as well as recalled his years at Belmont and the deep friendships he made, particularly on the men’s basketball team. He noted that he remains in touch with teammates Ian Clark, Kerron Johnson, Adam Barnes and Mick Hedgepeth, all of whom are still involved in basketball at the professional or college level.